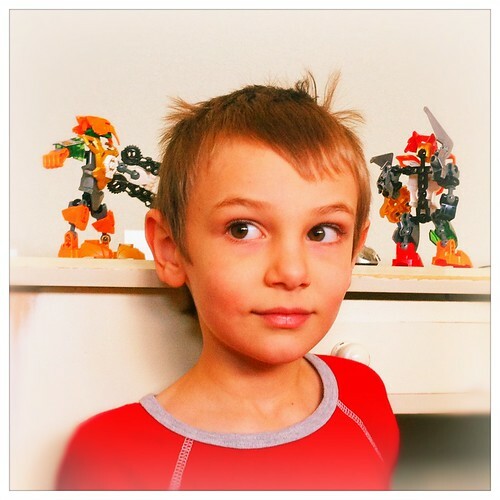 Lego Hero Factory Creator – 365, 361, originally uploaded by Fluttering By. On Christmas morning Thomas built all his Heroes by the book. Today? He combined them all together and dreamt up a brand new team. Each one is intentionally armored and equipped with special weapons that associate with a specific set of combination attacks. Every day I’m more in awe with this man. Today is certainly no exception.